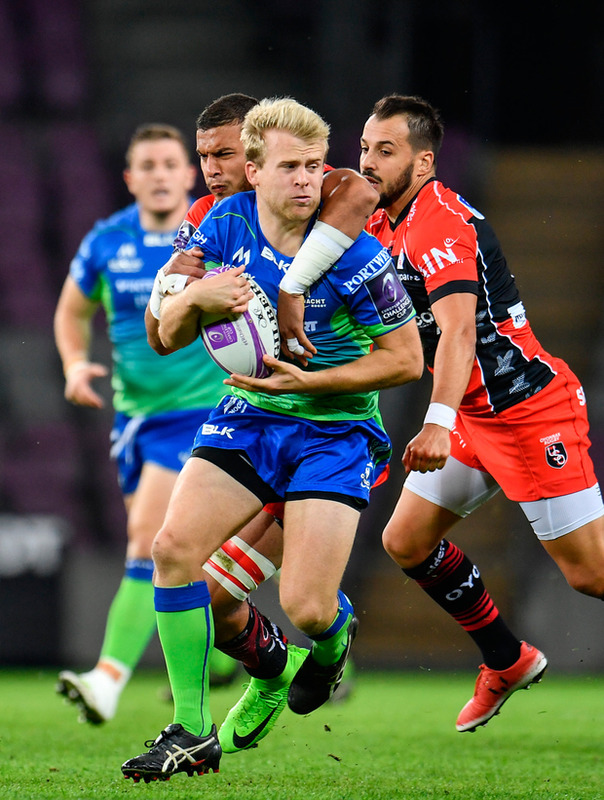 It looks like there's a lot of depth in the Connacht squad after the way the team performed in Geneva last weekend, and Andrew Deegan is the obvious stand-out performer. He won man of the match and had a super game against Oyonnax. He really bossed that match. Had Jack Carty been playing, he would have done something similar but that's not being disingenuous to Deegan. I just want to see him playing with a Tommy O'Donnell breathing down his neck before I pass my final judgement on him. You want to see what he is made of from that point of view. But for a player to go out and score as freely as he did in Switzerland last weekend in just his second game, that's what's needed. Kieran Keane wants to have two out-halves fighting for that spot and hopefully the competition between him and Carty will drag up the standards in a position that Connacht have looked light in for a while. Connacht hadn't seen much of Deegan before that but he will surely only improve on the Challenge Cup opener against Oyonnax. Then the players around him will learn how to play with him, and see what he can do. But certainly he had a huge game in Geneva and competition in the No 10 jersey will drive Connacht on.